The Bargman family has farmed at Canfields Farm, Lynwick Street, Rudgwick, since 1960 starting with a pedigree Friesian milking herd. This was sold in 1979 to a pedigree breeder in Somerset. At this time Peter Bargman felt the Farm was like a ‘ghost town’, so he bought six Friesian cows and retailed milk from Canfields from 1979-1988, bringing in young stock from his original herd. The tradition of Canfields, selling direct to the consumer, has included meat, vegetables, fruit, milk and cream. Canfields was now returning to its roots as the Kensetts, who owned the farm from 1948, had also retailed milk from the farm, together with buying and selling horses. 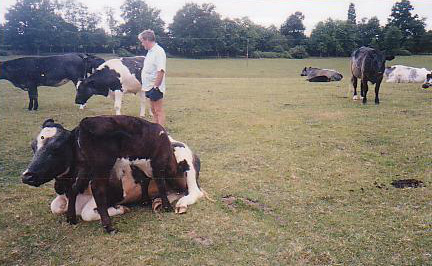 In 1988, Peter sold the dairy herd to Fred Cooper from Shipley and in 1989 started a suckler herd (beef mothers with calves suckling for 5/6 months). 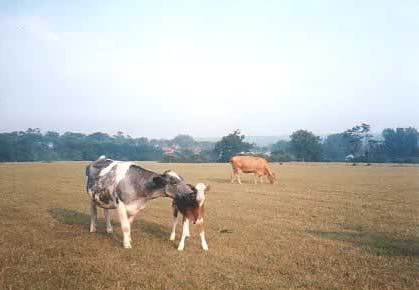 In 1993, Canfields joined the Farm Assured British Beef and Lamb Assurance Scheme. 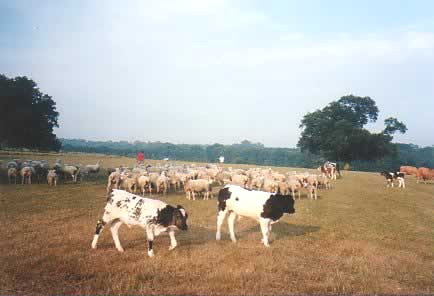 The Inspector wrote ‘A small herd kept to a high standard of care and attention stress free’. The herd stands today at 30 home bred mothers from the original three Peggy, Fox and Delight. The calves are fed on milk and grass, barley being added during the winter months. You may find it surprising we supply veal but remember traditional veal is raised naturally outside on grass and mothers milk. In 1994, Canfields started the 2-year conversion period to organic farming in order to deliver sustainable organic produce to this understandably expanding market. This diversification, together with horses at livery and two self contained rental cottages, is an essential policy for future years.